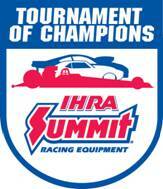 Gallatin, TN - Jody's Trackside Tire Service will be providing Hoosier Racing Tire Service at the upcoming U.S. Street Nationals in Bradenton, Florida on January 29-31st and the IHRA D2 Race in Immokalee, Florida on February 5-7th. 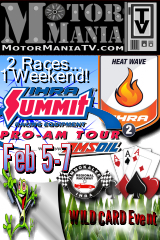 Immokalee, FL - The first race of the 2015 International Hot Rod Association's Summit Pro Am set a record for entries over the weekend at Immokalee (Fla.) Regional Raceway. 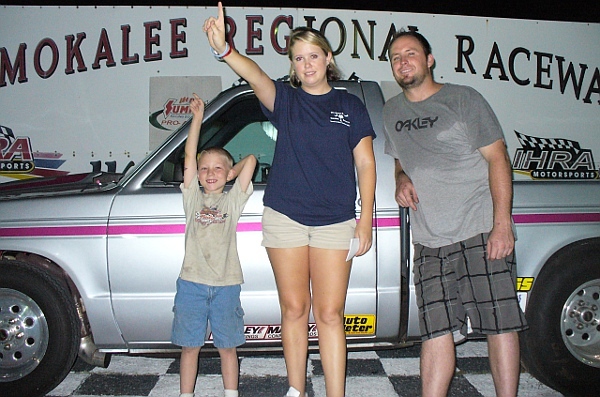 Competition was fierce: Two complete races were contested and the final rounds of eliminations produced no repeat winners. 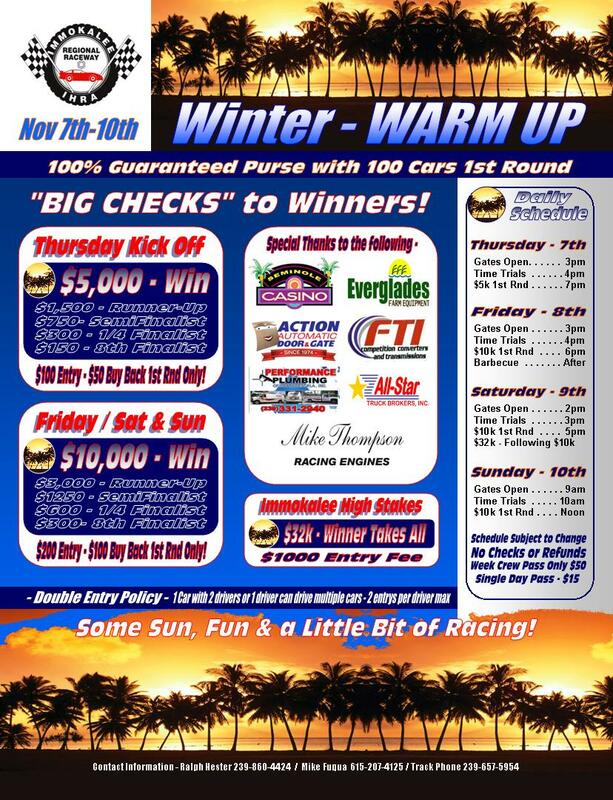 Immokalee, FL - Gates open Thursday for parking and a $5,000 Kick Off as the Winter Warm Up returns to Immokalee Regional Raceway showcasing Big Bucks Bracket Racing through Sunday with $10,000 to win races each day. Immokalee, FL - Five different states were represented among the winners with Florida making up the bulk of the trophy holders. 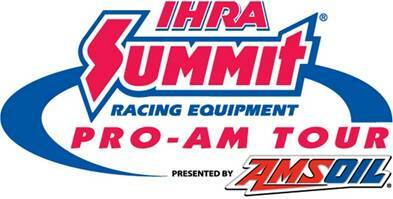 Drivers from Indiana, Texas, Tennessee and Virginia also took Ironman trophies home with them from the Pro-Am season opener. 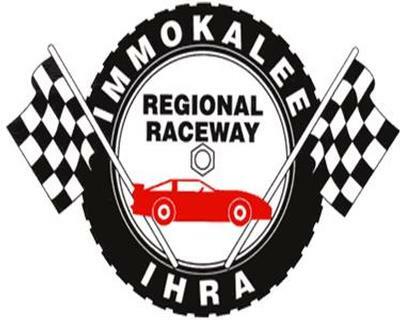 Immokolee, FL - The 2nd stop on this years Winter Series Tour was at Immokolee International Raceway down at the Southern tip of Florida. Temperatures were cool and the racing action was fast and hot. 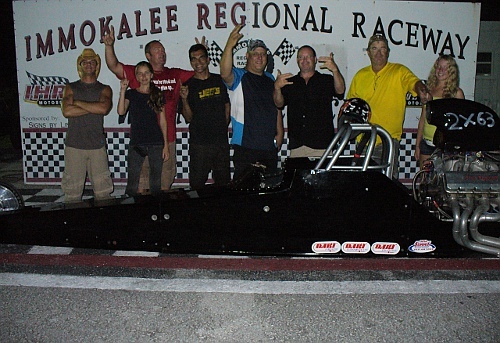 Immokalee, FL - With the points season winding down and the battle for the top spots getting tighter, racing resumed at Immokalee Regional Raceway with the twelfth points bracket points race of the year plus the third race for True Quick 16 taking place Saturday July 21st with the following results. Immokalee, FL - With the semi final finish in race 1 and a second round finish in race 2, defending Jr Dragster champion Kayla James had enough of a points lead to declare her once again champion of the class so congratulations goes to Kayla for the second year in a row! 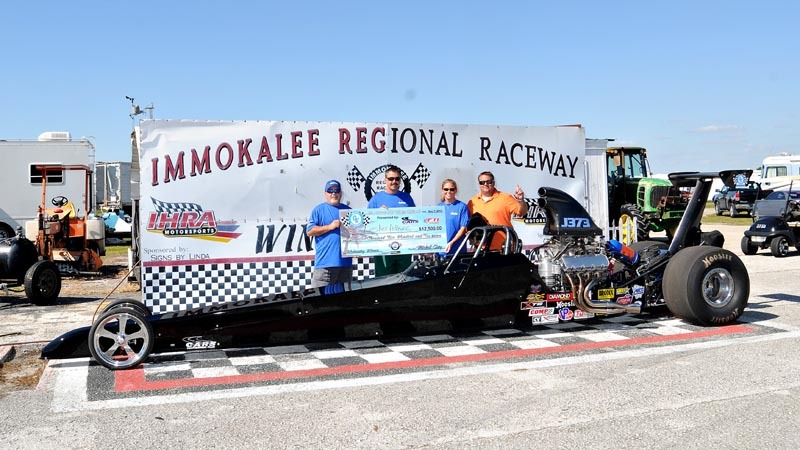 Immokalee, FL - Scott Richardson of Barbourville, Kentucky doubled up in Stock Eliminator and the Top Dragster class during Sunday's racing action this past weekend at the Summit Racing Equipment Pro-Am Tour and Tournament of Chammpions qualifier.